Do self-management support programs work for chronic conditions? The prevalence of chronic health conditions continues to rise in Australia alongside our ageing population. In addition, the risk of these conditions typically increase with age and are in part contributed to by unhealthy lifestyle behaviours like poor diet, increasing time spent sedentary, smoking and excessive alcohol consumption. 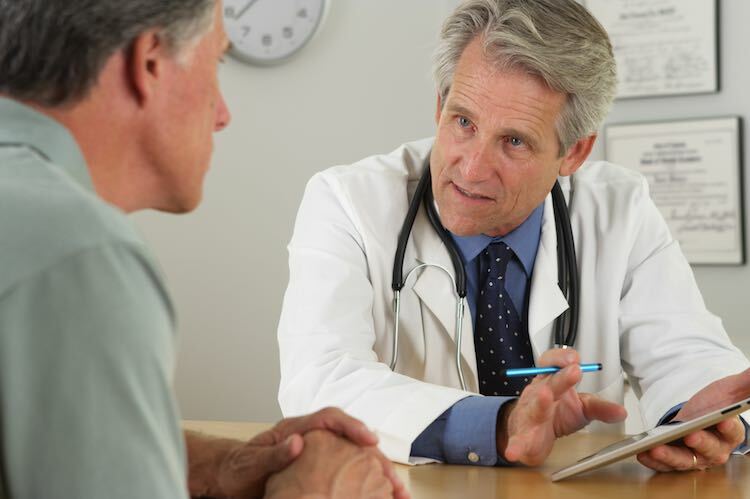 Doctors and guidelines often place emphasis on the importance of self-management of chronic conditions – that is, becoming an active participant in the treatment and management of one’s condition. While there is widespread support for this approach, the evidence backing it is mixed. Research into self-management programs is also limited when it comes to patients with two or more chronic conditions, which is increasingly common. Around one-third of patients seeking help from a GP will have at least two chronic conditions associated with ageing. Researchers investigated this gap comparing difference in outcomes between two groups of people with co-morbid (related) chronic conditions, one group of which received chronic disease self-management support (CDSMS). Participants were aged 60 years and over and had two or more chronic diseases. One group was assigned to a CDSMS program consisting of collaboration between doctor and patient assessing self-management behaviour, identifying issues, goal-setting and developing individual care plans that covered a range of problems important to the patient and their conditions. The control group were assigned to receive ‘positive attention’, involving scheduled contact with the doctors, who were instructed to provide positive attention, and also received health information relevant to their condition. The majority of self-reported health ratings at the beginning of the study were “poor” or “fair”. After six months on the program, participants in the CDSMS had improved self-rated health scores when compared to the control group (who did not receive any support programme). For many participants, however, self-rated health scores did not change between the beginning and end of the study. No between-group differences were seen for the secondary health outcomes measured in this study. Self-reported acceptability and engagement were higher in the CDSMS group than the controls, with more of the former reporting the program to be very or extremely useful and reporting it to have changed the management of their health conditions. This study found a potential benefit in CDSMS programs for improving self-reported health. While no improvements were observed for specific health measures, self-reported health can be a good first step to encourage people to persist with self-management and positive lifestyle behaviours. It can be hard to manage multiple conditions so it’s helpful to have an additional layer of support and guidance for people with two or more chronic conditions. If you have chronic conditions, talk to your GP about whether a chronic disease care plan to help in self-management might work for you. © Norman Swan Medical Communications. Reed, R et al. (2018). A self-management support program for older Australians with multiple chronic conditions: a randomised controlled trial. MJA 208 (2) doi: 10.5694/mja17.00127.